Church is always in service in the window at RJ's barbershop at 707 N. Sheppard St. 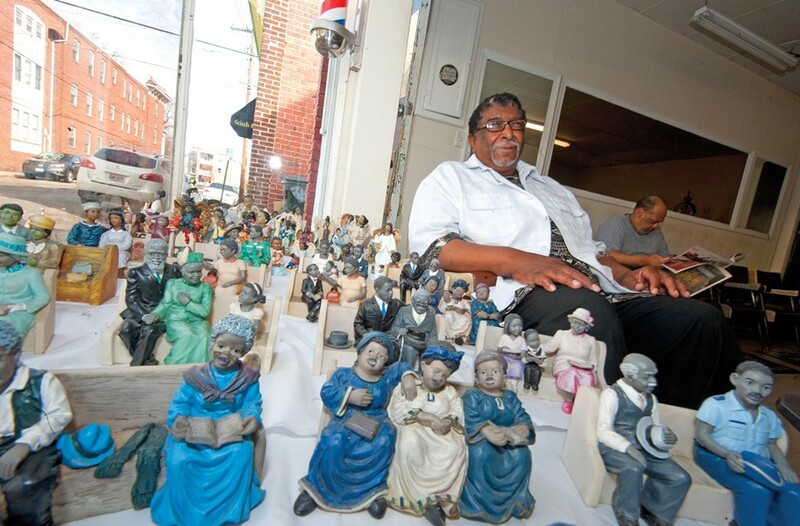 The ceramic figurines of well-dressed congregants and preaching ministers and singing choirs must be seen to be appreciated. Barber and shop owner Roy Spratley never intended to start such a display. He just happened to bring in a figurine of a minister one long ago day and then, over time, his customers started bringing him one figurine after another. After another. After another. "If I try to run away from church, here it is," Spratley, an ordained minister, said last year. "This fits in with who I am and who I try to be. ... I can't say which one is my favorite, though I am partial to the ministers. They're all important, the choir, the deacons, the people — it's how it all comes together."